Live Coding is Boring. 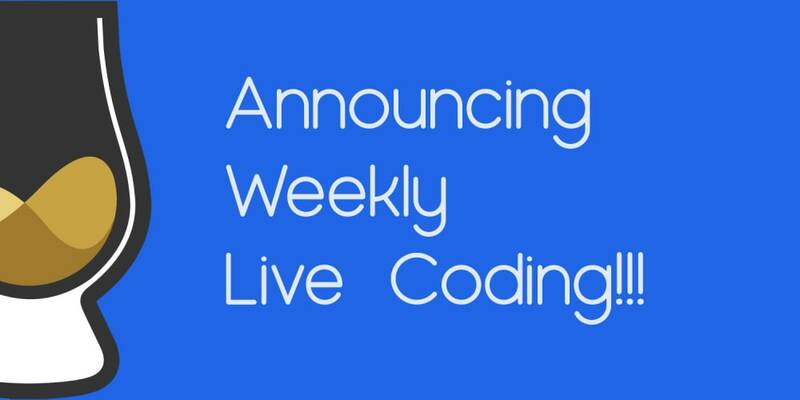 Announcing Weekly Live Coding with Scotch.io! Hello there. Chris Sevilleja, creator of Scotch.io here. I&apos;ve been doing some reflecting on this past year and have found that I didn&apos;t create as much content (written and video) as I should have. I&apos;ve also been getting questions from authors asking about my process in outlining/writing/recording/editing and all the things involved with creating content. But Chris, you said live coding is boring? So I thought to myself, let&apos;s combine those two thoughts! Show my creation process for writing and videos. I&apos;m hoping it helps others to blog and screencast. If you&apos;ve ever wondered about writing blog posts or wondered how to record a screencast, then you&apos;ll find these beneficial. I&apos;ve been looking around at some live-coding examples and one thing always stuck out to me. In live-coding, there&apos;s no set goal AND time limit. Usually, you&apos;ll see someone set a goal and work towards it like Building XYZ. There won&apos;t be a set completion time or anything, which is completely fine. It leads to a bit of a limbo though since it becomes more of a hangout+code session. I&apos;m not knocking that format; it&apos;s a solid format. Many people like that hangout+code session since it&apos;s fun and friendly like you&apos;re hanging out in the same office and coding. For our live-coding sessions, we&apos;ll be treating this more like coding challenges with a time limit. Every session will have a goal: write a post and record a screencast. Think of these live-coding sessions as more of a mini-webinar or a coding challenge than just live-coding. All of the above within 2 hours (hopefully! ). Here&apos;s a sneak peek at what my Twitch overlay looks like. I want it to be clear what stage of the writing process we are in. We&apos;ll have checkboxes and a countdown timer. Having that lower section where you can see progress should be good to give an idea of where we are in the stream. Write a post and record a screencast within 2 (maybe 3) hours. From this initial goal, I hope to show a look at what it takes to write posts and record screencasts. You&apos;ll gain a better understanding. Writing is one of the best ways to learn a topic. Hopefully seeing this process will encourage those that are on the fence on writing/recording to make the jump! These are just my initial thoughts. With your feedback from joining me in these live-coding sessions, we can grow these into whatever you want to see. Let me know what your thoughts are on this format. Is this something you would tune in to see? I&apos;ll see you all on Twitch!